The LGBTQIA+ community faces a unique set of stressors and mental health challenges that make them particularly vulnerable to substance abuse. NIDA reports that adults who defined themselves in the sexual minority were more than twice as likely to experience substance use disorder (SUD) than the heterosexual population. Lesbian, gay, and bisexual (LGB) adolescents also reported higher rates of substance use compared to heterosexual adolescents. LGBTQIA+-friendly rehabs must be addressed the specific adversity that this vulnerable population faces and provide targeted and intuitive treatment. If you or a loved one are a member of the LGBTQIA+ community and you need treatment for SUD, help is out there. What Does LGBTQIA+ Treatment Look Like? Participants in LGBTQIA+ rehab are treated by experienced and qualified mental health professionals who are acutely away of the daily struggle this population faces and what factors often lead to and sustain their substance abuse. Programs consist of group therapy, one-on-one counseling, and supplemental therapies that will vary according to patients’ clinical needs and lifestyles. While currently only a fraction of the over 14,500 treatment facilities in the United States offer specific rehab for the LGBTQIA+ population, more and more treatment resources are being developed every day to help affected patients in this group. Whether you or your loved one need specialized care related to this population, you have options. 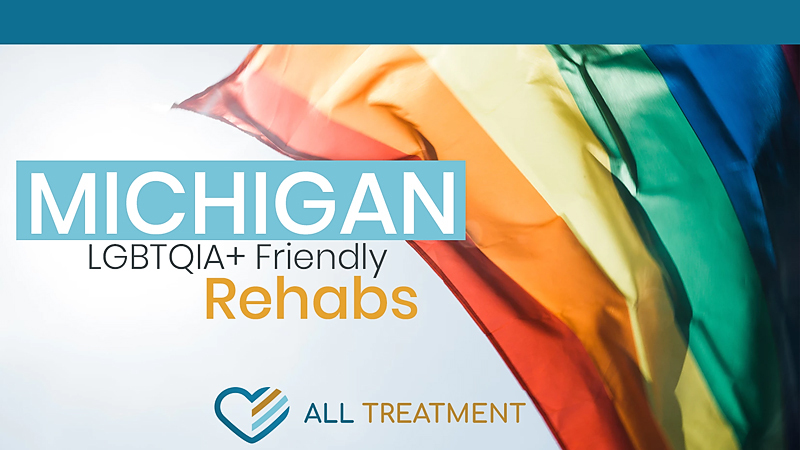 LGBTQIA+ rehab helps patients come to a place of self-acceptance and identify the role that their orientation has had in the proliferation of their substance use. The goal is to help patients live independently in recovery and further insulate themselves from the threat of relapse and possible overdose.